It has been a blast, and if you or someone you know could use a new or improved website, let me know - I would LOVE to do it! Amazingly beautiful!! You've done a wonderful job, her website is going to be awesome! Can I come and live with you for a while and get lots of lessons!?!?! You are amazing!! I love the one of the kids, I just want your talent!! Hope you guys have a fun and happy easter..
Hey Anna, those turned out fabulous! I love that little owl apron, very cute. I can't wait to see the website! 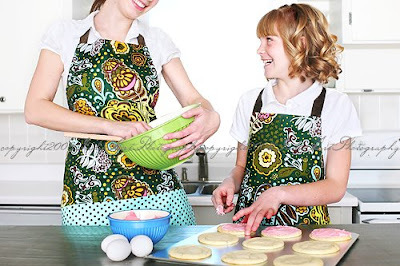 Those are probably the cutest aprons I have ever seen - EVER. I may have to get me one someday. I love the bath image! Very crisp and clean looking! 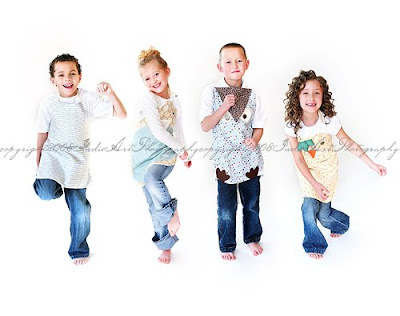 Awesome photos and aprons (can't wait to see the new website). Your photos are incredible. WOW! I've always been a fan of your work but these are just fantabulous! Hi Anna, I have a question for you if you have a minute to answer. When I post my proofed pictures on my Blogger blog, they lose their vibrance and color saturation. Does this happen to you? They look great on my computer and when I finish with them in Photoshop, but when they go on the blog they look flat. If you have any advice, I'd love to hear it. P.S. I know you don't really know me, but I'm just asking my question to all my favorite photographers that also use Blogger. I'm hoping that I'll come up with a good answer somewhere. :) Thanks for listening! &&& i love the aprons! they are adorable! Um, a couple of those models are ridiculously good looking! WE miss them!!!! Love the freshness of the apron pics. Nicely done indeed. Anna these images are stunning. The props are perfect, the lines are clean and simple - you could easily shoot editorial, you certainly have the flair for it. Your photos are amazing and the aprons are awesome!! I am so in love. Where did you get those aprons? I love your actions! I love these images. I love the apron in the bathtub scene, and I would love you to design a website for me. How much do you charge? Thanks so much for your comments - I appreciate each of you! Liz - yes, what shay said: sounds like you need to save your images as sRGB. I use this for all my printing and publishing. go to edit>color settings. 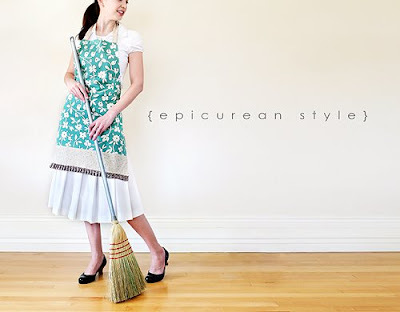 Meredith's - epicureanstyle dot com ! Heather - I don't design websites - what i do is the photography and help you put it together and often a logo. If you're interested, please email! My gosh, Anna. You amaze me every time I come back here. You're gonna be BIG some day, girl! No doubt in my mind! Thanks a bunch, Anna! You're INCREDIBLE! Gorgeous work and beautiful products! Off to check out the site! Anna girl you rock my world! These are nothing short of fanflippingtastic. LOVE THEM!